"A truly unsung hero who takes your breath away"
"One of the world's greatest humanitarians"
In 1976 seven out of ten children diagnosed with cancer died. Today, eight out of ten survive. The foundation stone laid down in 1976 that kick-started this remarkable turnaround bears the charity name CLIC (Cancer and Leukaemia in Childhood.) It’s watchword was THE FIGHT TO SAVE YOUNG LIVES. The vision and mission of CLIC can be attributed to one man, CLIC founder, Bob Woodward. Life was good for Bristolian Bob Woodward in 1974. At 41, along with his brother John, he headed up Woodward Brothers, a property development company. With a full order book, one project alone for the development of 120 houses, Woodward Brothers were riding on the crest of a wave. But on Thursday 21st February 1974, Bob Woodward's world fell apart. This was the day when his eight year old son Robert was diagnosed as having cancer. Young Robert's diagnosis catapulted Bob from the good life into a whole new world. Bob didn't like what he saw and found. The prognosis was not good, with seven out ten of all children being diagnosed with cancer dying. In 1974 treatment for young cancer sufferers was meagre. Shocked at the appalling lack of resources and facilities for the young patients and their families, Bob personally funded and pioneered the welfare of young cancer patients and their families during treatment. On his visits to Frenchay Hospital, Bristol to see young Robert, he saw the plight of other parents whose children had been struck by cancer. He noted their struggle trying to hold their families together - often sleeping on hospital ward floors whilst their child was undergoing treatment. Bob was in a position to offer an immediate answer to this problem. He still had some properties left in his business portfolio. 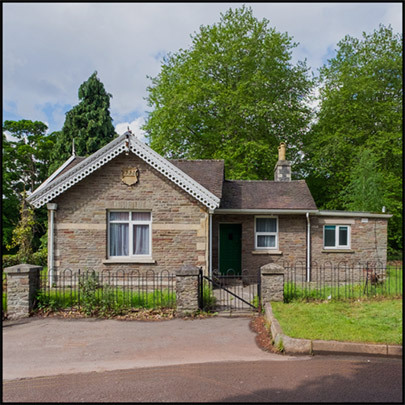 He quickly provided and furnished one of them, free of charge, to create the very first UK 'Home-from-Home' - a small lodge within the hospital grounds where families could be together whilst their child was receiving treatment in Frenchay. He called it CLIC Cottage. Bob then launched himself into an all-consuming mission to improve standards of treatment, care and support for other families in a similar plight. 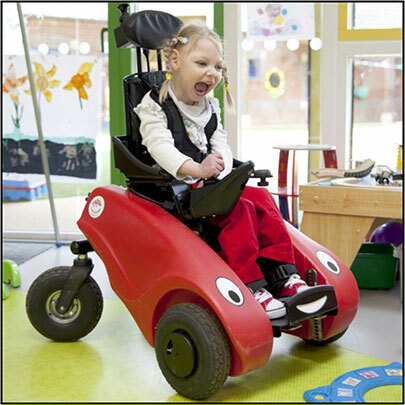 Driven by his vision to create a charity that would eventually change the world of the child with cancer, Bob laid down his builder's tools in 1976 and founded CLIC, to support children diagnosed with cancer in the southwest of England. 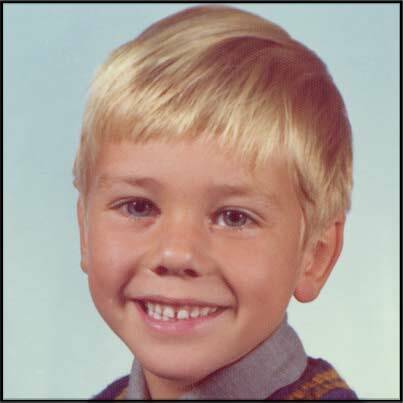 Sadly, Bob's beloved son Robert died in 1977 aged 11 years. A year after losing Robert, the Woodward family were blessed with a new arrival, Hugh. Hugh suffered with Downs Syndrome and the family was further devastated 4 years later when he died of a heart attack. 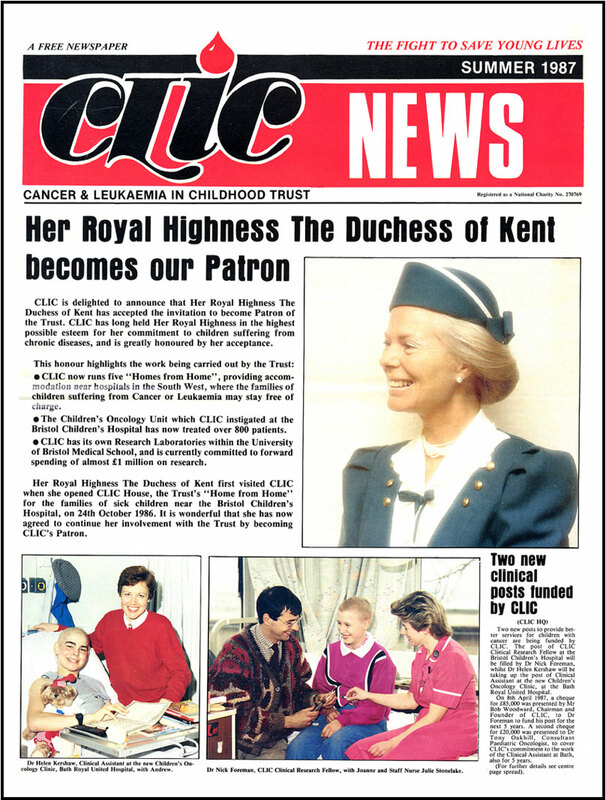 The resounding success of CLIC in the southwest led to the creation of CLIC UK, serving the whole of the United Kingdom, with Her Royal Highness the Duchess of Kent becoming its Patron. 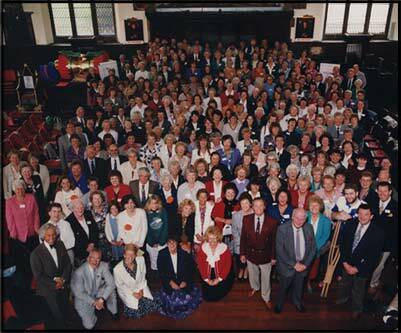 Over the years Bob encouraged a vast army of people to came together to serve CLIC in the most incredible ways. They gave of their money, their energy and, above all, their precious time. Slowly with CLIC funding and spearheading dedicated childhood cancer research and treatment programmes, survival rates started to turn around. Incredibly Bob also found time to give pastoral care to the desperate families and in the 21 years in which he was at the helm he attended 300 funerals of young cancer sufferers, speaking at most of them. 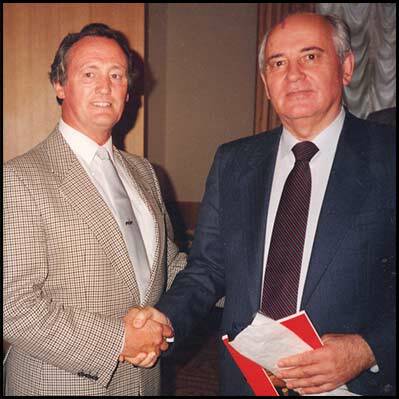 1993 saw the founding of CLIC INTERNATIONAL with Mikhail Gorbechev accepting Bob's invitation for him to become its President. CLIC, now CLIC Sargent, has grown to become the biggest children's cancer charity in the UK. The original CLIC mission to rid the world of childhood cancer, instigated by Bob Woodward in 1976 endures, and today eight out of ten children diagnosed with cancer survive. At 65 years old, and taking on a presidential role with CLIC, in 1998 Bob started his second 'journey' when he took up the role of Chief Executive to The Starfish Trust, a charity based in Almondsbury, Bristol who fund the care and support of children suffering life threatening illnesses and disabilities. His tireless efforts with The Starfish Trust was pivotal in assisting in the funding of six specialist hydrotherapy ‘Starfish Pools’ for disabled children, a meningitis research laboratory at The University of Bristol, Charlton Farm children's hospice, The Starfish technology centre for disabled students at the National Star College in Cheltenham, a 35 bed specialist children's hospital unit within the grounds of the now demolished Frenchay Hospital and The Wizzybug loan scheme to provide innovative powered wheelchairs for disabled children under five. 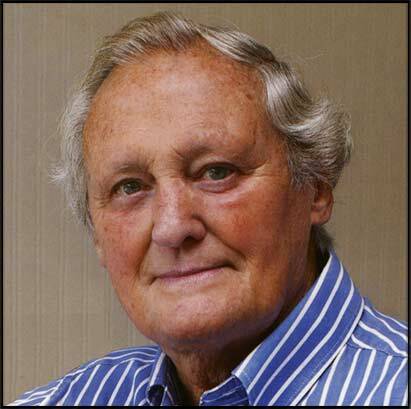 At the time of Bob's Pride of Britain Lifetime Achievement Award in 2011 research showed that he had been personally responsible for raising over £100 million pounds for charity. Being diagnosed with inoperable prostate cancer in 2003 did not prevent Bob from giving of himself in a wide variety of children's charity initiatives and he continued with his charitable work for some 10 years later. 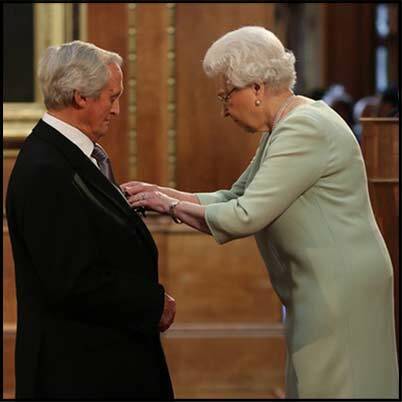 The remarkable achievements of Bob Woodward have been recognised over the years with many accolades, culminating in him receiving an OBE from Her Majesty The Queen at Windsor Castle in December 2014. Bob Woodward died on Sunday 20 January 2019, aged 85.